The Phoenix Rock Gym is an excellent venue if you’ve been craving a little adventure. Both children and adults are encouraged to climb for fun and physical exercise, no prior experience needed. 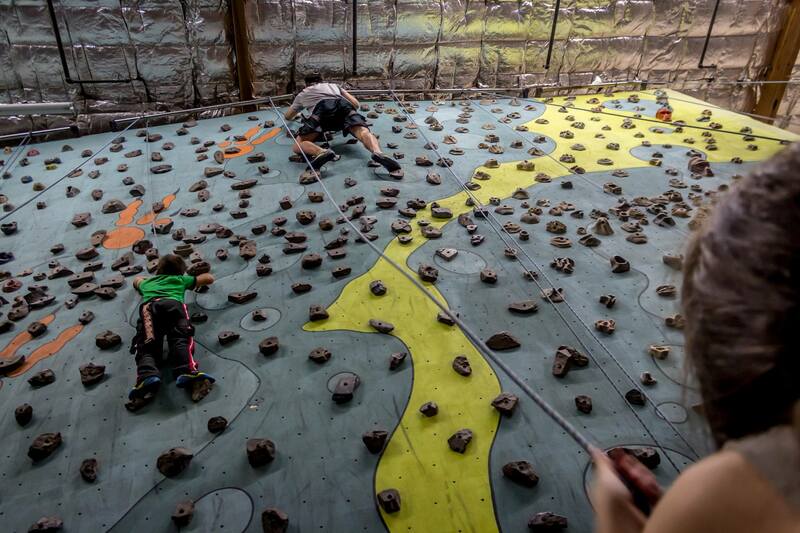 The gym has created 56 climbing routes for you to explore. Routes range from effortless to extreme determination, perfect for all skill levels. To keep you on your toes the routes are frequently changing. That way, the gym never gets old. Climbing gear is available for rent at a reasonable fee. Among the gear provided for rent are shoes, harnesses, carabiners, and chalkbags. If you have your own gear you are certainly welcome to bring it for your personal use. To get started at the Phoenix Rock Gym everyone has to sign a waver. All climbers under 18 years of age must also have a parent signature. It is necessary for first timers to watch a brief training video followed by a hands on orientation before climbing. This prevents any mishaps and gets you familiar with the equipment so you may have a blast plus be save doing so. The Phoenix Rock Gym is open Monday through Friday from 3pm-10pm as well as Saturday and Sunday from 10am-7pm. The Phoenix Rock Gym is definitely worth your time and cash. However if you obtain a Pogo Pass you can visit the Phoenix Rock Gym twice for free! A Pogo Pass allows you to visit many other intriguing places for a one time fee. Currently a Pogo Pass is 60% off with the promo code: AZPLACES.